We can make sliding shutters for any shape of window opening, any size. Our Sliding Shutters are one of the most durable sliding shutters in the shutter industry. 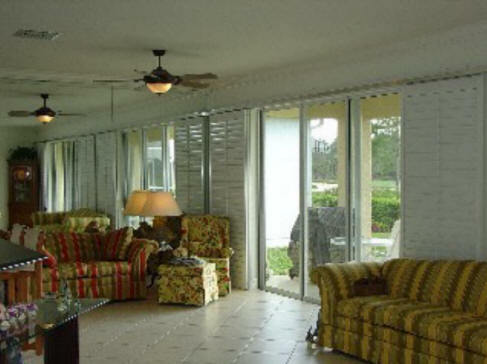 Sliding Shutters can be used in various applications; one is to use them on sliding doors. These are becoming more popular because of their beauty as well as there durability. For people that possibly have a wall of sliding doors, we can extend the track so that the sliding shutters can completely be pushed out of the way when they are not needed. 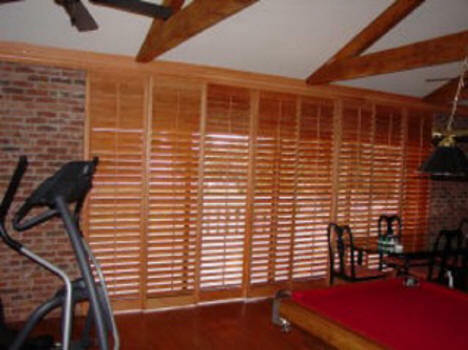 When they are needed, Sliding Shutters can provide insulation from the sun as well as beauty to the room - like a picture! Sliding Shutters are replacing drapes and verticals, which fade or turn yellow over time. We have the availability to custom make the track to curve or have an angle, which means that no matter what objective your walls may have, we can overcome it. 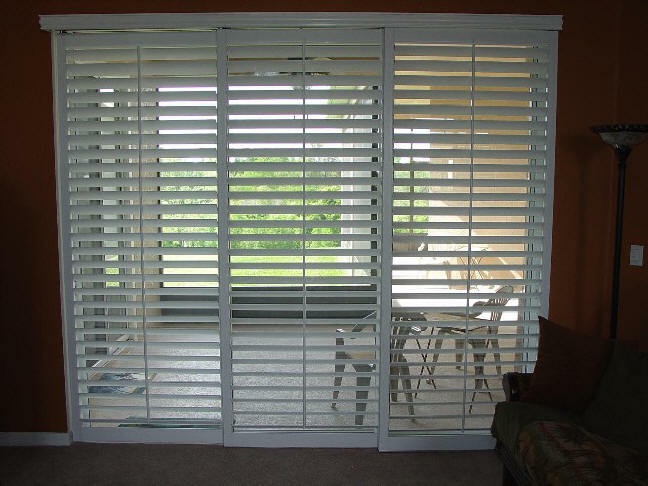 Sliding shutters that can be made with reinforced louver, which will allow you to go up to a thirty-eight inch panel. . Simply dust your shutters with a duster or furniture polish and that is it. We are not just a manufacturer. We are a full service company! Sliding shutters can be any shape, straight, curve, 90 degrees turn, 45 degrees turn . Water Repellent & Weatherproof, Perfect for high humidity areas like the bathroom!! DO NOT BE FOOLED BY INFERIOR FAUX WOOD SHUTTERS!!! BUY THE ONE AND TRUE ORIGINAL FAUX WOOD SLIDING SHUTTER! PLANTATION SLIDING SHUTTERS......THE MOST TECHNOLOGY ADVANCED PLANTATION SLIDING SHUTTER IN THE INDUSTRY! 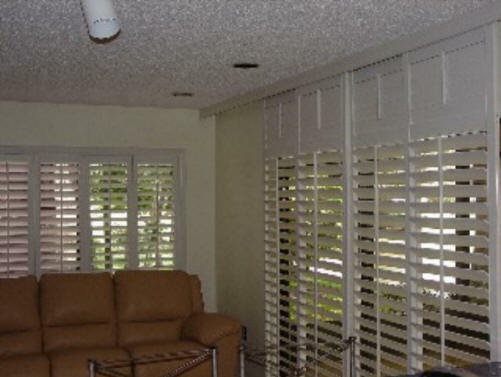 PLANTATION SLIDING SHUTTERS OFFER UNSURPASSED QUALITY AND DURABILITY!!! 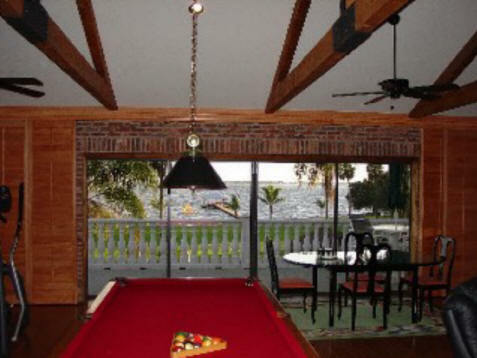 WHEN QUALITY COUNTS...YOU CAN COUNT ON FLSHUTTERS!!! Premium Grade A Bass Wood Shutters with an exclusive extended sliding track system! Exclusive extended track will allow you to totally push the shutters out of the way when not in use. Featuring our exclusive The Plantation Sliding Shutter with the extended track system! NOTICE the different sections. The top quarter can be closed separately. Our exclusive reinforced louvers allow you to go up to a 36" panel.